Manchester & Cheshire Construction has begun a refurbishment project which marks the start of a much-anticipated £46m scheme to restore Buxton’s historic Crescent to full use. The Salford-based firm has been appointed to refurbish the Crescent’s Pump Room in a £600,000 project which is expected to take 22 weeks to complete. Following this, the Grade ll listed building will be used as a temporary information point while contractors work on the Georgian Crescent. The Crescent is to be transformed into a five-star, 79-bedroom spa hotel incorporating the neighbouring natural baths, a thermal mineral water spa and specialist shops. The Pump Room will eventually become an interactive visitor centre, tearoom and heritage experience. Funding for the Crescent restoration is coming from the Heritage Lottery Fund alongside support from High Peak Borough Council, Derbyshire County Council, Historic England and developer Buxton Crescent Hotel and Thermal Spa Company. Coun Tony Kemp, deputy leader of High Peak Borough Council and executive councillor for regeneration, said: “The Pump Room project marks the start of the renaissance of these iconic buildings which will cement Buxton’s place as England’s leading spa town. Manchester & Cheshire Construction is carrying out external repairs and an interior refurbishment of the Pump Room, which was built in 1894. The work includes repairs to the building’s decorative marble cladding, ornate plasterwork, windows and the supply of natural thermal mineral water. Following the scheme’s completion, the Pump Room will be back in public use for the first time since 1992. 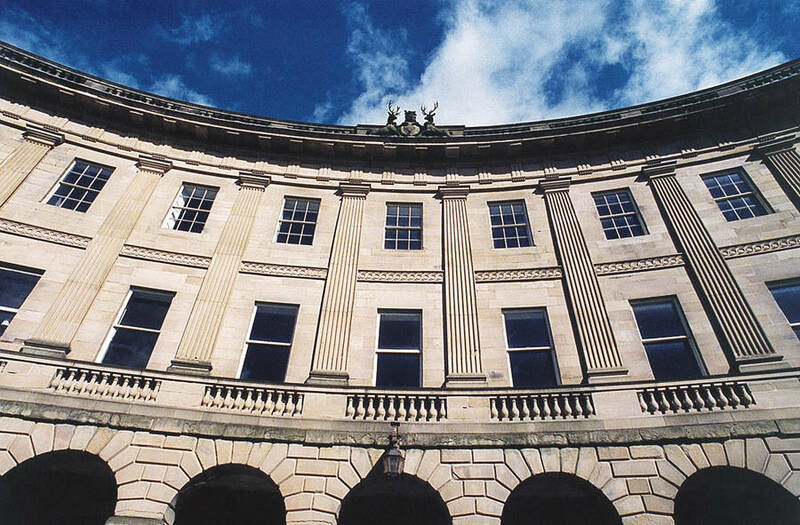 Eugene O’Callaghan, construction director at Manchester & Cheshire Construction said: “We are delighted involved in such a prestigious project and to play our part in the redevelopment of Buxton’s historic Crescent. Consultants working with Manchester & Cheshire Construction on the Pump Room refurbishment include Buro Four, Scott Hammond Design, Capita Property & Infrastructure and Aecom.